← What is Winter Burn in Trees? There are certainly ideal times of the year for tree trimming. And if you want healthy results and long-lasting trees, you must do it right. Professionals recommend adhering to the industry best practices suggested by the American National Standards Institute. These standards are known as ANSI A300, and they are highly effective guidelines for tree pruning. Continue reading to learn when you should trim your trees, and if now is a good time to get started. It is important to prune trees because it promotes new healthy growth in the spring. 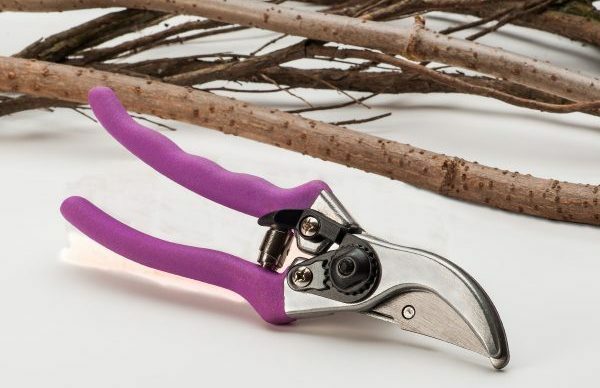 For this reason, the best time to prune trees are when they are dormant, which is during the winter. During dormancy, trees are not growing, but they are still alive. This, coupled with the fact that winter time poses less of a risk of pest and wildlife interference, is why tree pruning is most effective in the winter season. This does not mean that trees should be pruned when temperatures are below freezing and snow is covering the ground. Instead, you want to wait until the coldest parts of winter are over. Therefore, NOW is the perfect time to prune your landscaping trees! If you wait until spring or summer to trim trees, it can put them at a higher risk of pest infestations, bark damages, unhealed tree wounds, and overall tree decline that can last the rest of the tree’s life. If you wait until fall to trim trees, it can lead to slower healing, which can put them at risk of being infected by airborne decay-causing fungi and/or insects. Flowering trees that bloom in the mid-to-late summer may get by with spring-time pruning since their blossoms appear so late in the year. However, trees that blossom their flowers in the spring should always be pruned as soon as their flowers disappear. That usually occurs between the late summer and early fall. It is best to always discuss your tree pruning needs and options with a trusted Indianapolis tree service expert for professional advice. Call Complete Tree Care at 317-783-2518 for experienced Indianapolis tree trimming and pruning you can trust. We offer a wide range of residential and commercial tree work, including tree removal, trimming, pruning, stump removal, lot clearing, and more. Call 317-783-2518 to request a free estimate, today. This entry was posted in Trees and tagged ANSI A300 tree pruning, Indianapolis Tree Pruning, Indianapolis tree trimming, tree pruning tips, when to prune trees. Bookmark the permalink.